Galvanised Iron Pipes and Fittings. 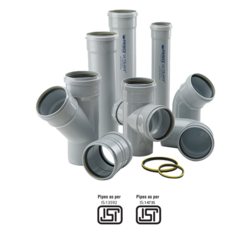 The GI Pipes are generally used for distribution of treated or raw water in rural or urban areas. Galvanised Iron (GI) Pipes are manufactured using mild steel strips of Low Carbon Steel Coils. The strips are passed through a series of fin rolls to give them a circular shape. The slit ends of the strips are then welded together by continuously passing high frequency electric current across the edges. The welded steel pipes are then passed through sizing sections where any dimensional deviations are corrected. The pipes are then cut into desired lengths by automatic cutting machines. The tubes are then pressure tested for any leaks randomly. The galvanization and varnishing of pipes are done as per specific requirements.The GI Pipes are generally used for distribution of treated or raw water in rural or urban areas. These pipes are cheaper, light weight and easy to handle. Water & Sewage pipesElectric polesStructural purposesEngineering purposesAutomotive purposesOil and gas transmissions. Please download price list from the below PDF link. Prince piping systems has collaborated with a renowned company who manufacture triple-lip sealing rubber seals known as Forsheda 582 Dinlock. These seals along with Ultrafit SWR premium quality UPVC material ensure a long lasting performance. Ultrafit SWR with world class seals are used in building drainage of residential, commercial, industrial & public complexes. 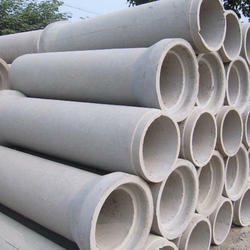 DWC ( Double Wall Corrugated ) Pipes are manufactured using HDPE polymer. These pipes are resistant to various types of gases & chemicals which are generated due to putrification of various ingredients flowing in the system. 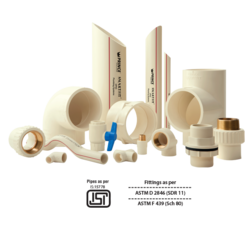 DWC* Pipes are manufactured as per IS 16098 (Part-2), have a smooth internal surface and corrugated external surface. The corrugated external surface provides greater stiffness, withstands soil movement & takes higher loads (static & dynamic), whereas the internal surface helps in smooth flow of sewerage. DWC* Pipes are available in SN 4 and SN 8 stiffness classes with sizes from 100 mm to 1,000 mm ID. 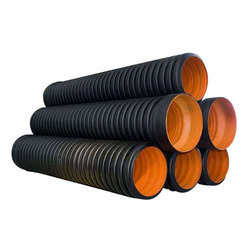 These pipes have a standard length of 6 metre and are available with rubber ring jointings. We deal into wide range of brands in Bath CP fittings for Project and Retail orders. With a better performance than Cast Iron, Ductile Iron and RCC manhole covers, this product is an industrial revolution. They have been thoroughly tested as per BS EN 124, IS 1726 & AASHTO M306 standards for drainage and utility services. 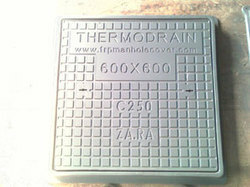 THERMODRAIN Multiple Manhole Covers are an ideal solutions to odd size chambers. The entire product with FRP / M. S frame is designed and manufactured to the existing chamber size. Our covers are available with load bearing capacity ranging from 2.5 tons to 60 tons (E 600). 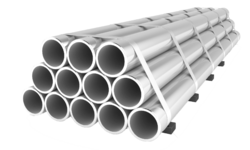 We " Shivlaxmi Enterprises " are engaged in wholesaling and trading a high-quality assortment of Plastic Pipe, Galvanized Iron Pipe, etc. 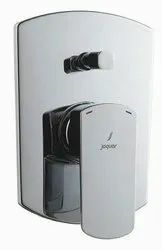 We are a Partnership company that is established in the year 1991 at Pune, Maharashtra and are connected with the renowned vendors of the market who assist us to provide a qualitative range of products as per the global set standards. Under the supervision of "Mr. Bhaven Shah", we have attained a dynamic position in this sector.